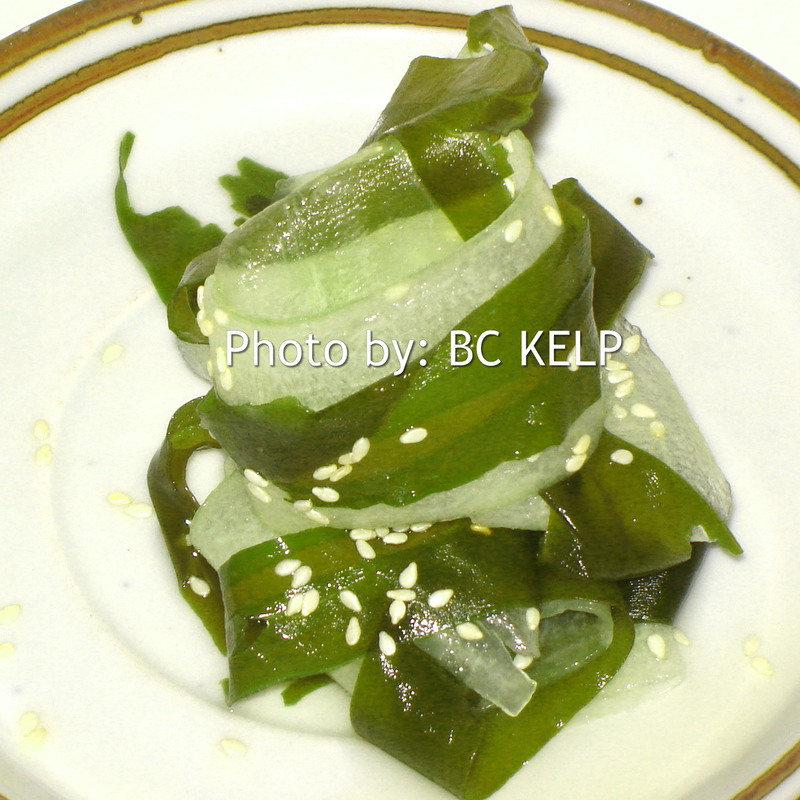 With scissors cut Kelp Fronds into thin slivers. Peel and cut in half. Slice lengthwise with a potato peeler into very thin but wide strips. Soak the seaweed in water for 10 minutes or so, (save that water to cook your rice, or add to your smoothies). Take the seaweed out of the water and rinse a few times in cold water until no longer slimy. With hands squeeze out excess water . Mix all dressing ingredients together. Stir to dissolve. Place the seaweed and zucchini or cucumber with the dressing and gently toss. chives, toasted sesame seeds and cilantro or parsley. This salad goes very well served with rice. Enjoy!